Eurolast distributes products of some of the most important worldwide production companies of synthetic yarns: AQUAFIL synthetic fibres and polymers and the South Korean HYOSUNG with “Creora®”. Aquafil represents the synthetic fibre division of the BONAZZI group, offering a wide range of particularly innovative products, answering to every specific request of the textile industry. 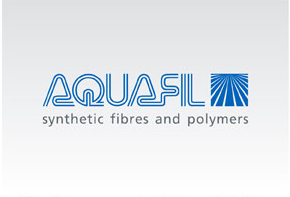 Here follows the list of Aquafil Brand exclusively distributed for the Italian market by Eurolast. Econyl® is the first product made from 70% of material coming from recycled polimer and from 30% virgin polimer. Econyl® represents the will to minimise environmental impact by a reduction in the use of natural resorces, the reduction of the necessity for area and spaces to be dedicate to rubbish tips/dumps, the reduction of 50% of CO2 emissions per unit product. Dryarn® is an innovative polypropylene micro fibre that guarantees high performance materials for underwear, sportswear, and special technical applications even under extreme conditions. A great innovation opening horizons to new frontiers in the textile and clothing sectors. Microlon® is a microfibre made from dope dyed nylon commonly used in the making of articles of medium high market target and particularly appreciated by the consumer for it’s exceptional characteristics: super soft to the touch, high comfort, resistance and easy care. Because it is dope dyed, Microlon® does not undergo the thermal stress which is typical of traditional dyeing techniques and therefore maintains intact in the fabric it’s important microfiber characteristics. As always a quality reference point for dope dyed nylon on the textile market, Borgolon® and Microlon® fibres are today sinonimous of “solution dyed fibre”. both products present extraordinary advantages for the users of yarns in terms of economy and colour fastness. Besides which they offer a high value to the clothes sector from a sustainable point of view, allowing the production industry a contained environmental impact. With the dope dyed process infact, the synthetic fibres are dyed during the extrusion yarn process and therefore does not represent a further passage, after the realisation /creation of the material/cloth. 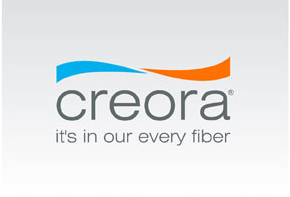 Creora®, A Hyosung Corporation trade mark, is second place in the classification for elastomer production worldwide. With it’s high quality products it is an important global supplier for swimwear, underwear and knitwear. 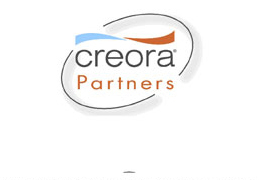 Eurolast is able and proud to use Creora® Partner brand, released to the company that officially distributes Creora product assuring high quality standard service. 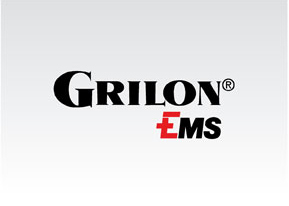 Grilon® EMS is a EMS GRILTECH trade mark, world leader in the production of highly technical fibres and yarns. The exclusive distributor for Italy is Expotex, a company in cooperation with EUROLAST, in the distribution of technical yarns. 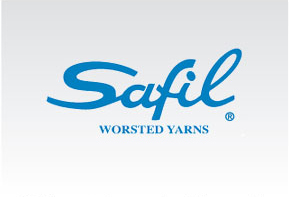 Safil worsted yarns. Specialized in the production of pure and wool blends. Safil spin, dye on cones executing all the working process within their factory, using a modern plant capable of high quality production capacity, among the most important in Europe. Due to it's particular production process, they have an obligatory re-combing which guarantees the appropriate high expectancies of it's clients. Established in 1954, specializing in the production of combed yarns for textile, knitting and pantyhose. The spinning plant in Bulgaria, annually producing 7 million kg of which at least half are dyed on cones in their own dyeing plant in Biella - Italy. For each item the raw materials are carefully combined, re-combed and spun following the strict quality and procedure controls that the ISO 9002 regulation insist on. Among the wool fibres Safil have developed new products in collaboration with the IWS (International Wool Secretariat) resulting in, amongst the most promising, a MERCERIZED WOOL that gives an incomparable softness to the yarn compared to other treatments. The types of process span from the traditional simple and twisted to SIROSPUN, CORESPUN, STRETCH AND COMPACT. There are also two new lines; of fantasy fibres ( Bouclè, frisè and carded) and high tech fibres using flame-proof aramidic fibres combined with other fibres such as Kevlar, silver , flame retardant viscose, carbon, steel etc.